Art Blue recommended I make time to see a new exhibition which has just opened at the Timamoon Gallery, and which features as it subject … fractal art. Needless to say, I was immediately curious, so when an unexpected free 60 minutes popped-up I hopped over to take a look. Absence of Colour is a joint exhibit by Milly Sharple and Ranadeep. 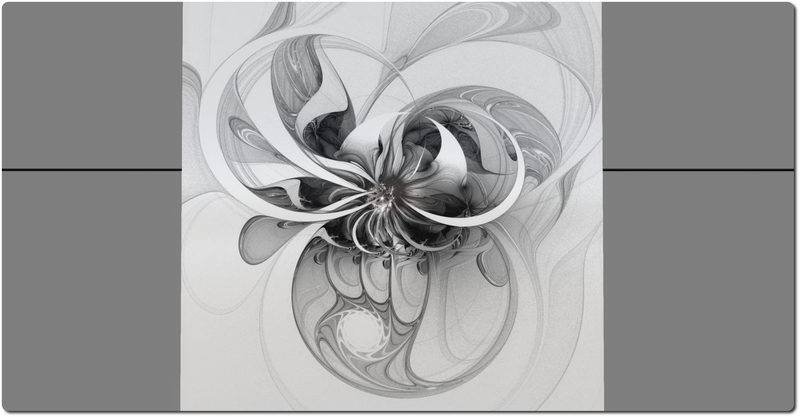 As the name suggests, this is a presentation of monochrome and greyscale fractal art by the two artists and is, I have to say, stunning; even the setting is a continuance of the overall theme, albeit it with a slight hint of colour. Spread across three levels, the exhibition space comprises 24 large cubes arranged eight to a level in a square around a communal area. Four cubes open onto this central communal area, and are linked to the remaining four cubes by short tunnels. All of the cubes has at least one element of art displayed within it. The interiors of the cube further reflect the title of the exhibition, alternating between white and black as you walk through them. 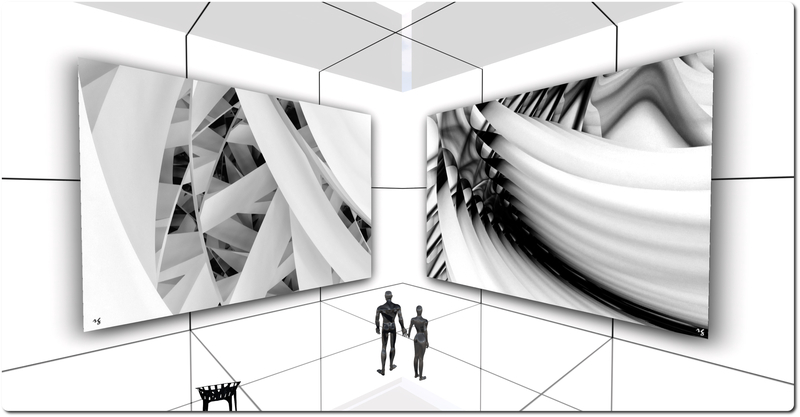 The entire arrangement means it as possible to wander between the cubes, crossing back and forth over the communal areas, or to enter one cube and then proceed through each of them in turn to see the displayed pieces before returning to your start point. 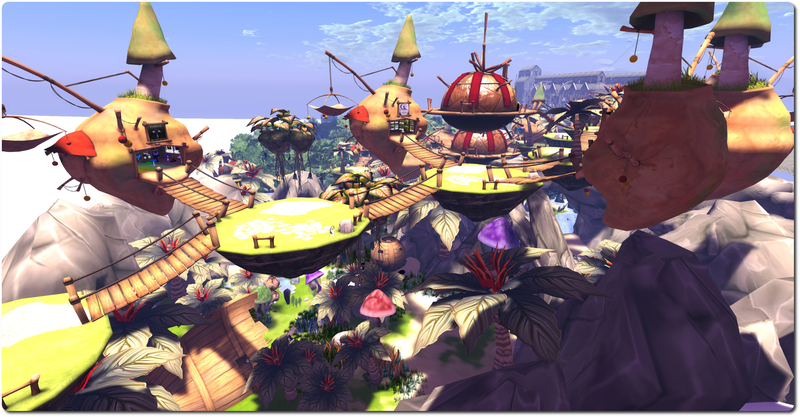 Teleporters provide the means to move between the three levels. The central level forms the landing point. The cubes here combine pieces by Milly and Ranadeep, while the upper level is devoted to Milly’s work, and the lower to Ranadeep’s. 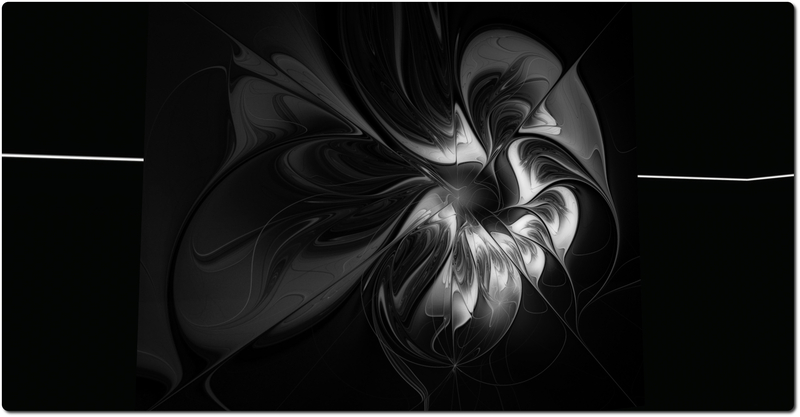 While both artists have used similar software for their work, both employing Apophysis (although Ranadeep also uses Ultra Fractal and Incendia), their individual styles are apparent in many of the pieces. Ranadeep’s work often features bold lines and linear forms (although not exclusively so), while Milly’s often display more cursive elements and softer lines (although again, these are not exclusive to her pieces). 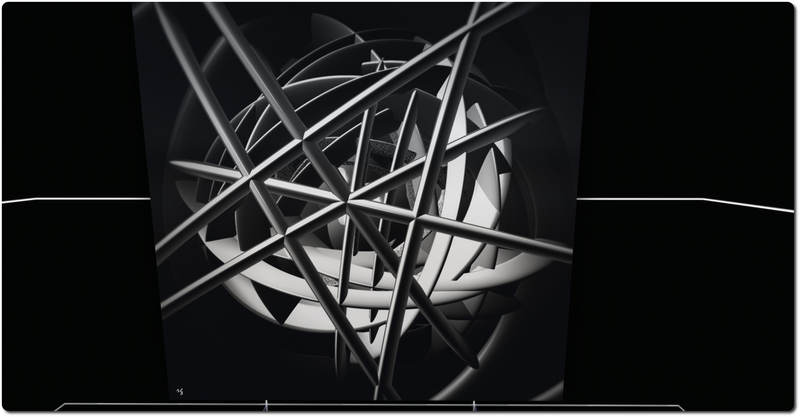 That all of the pieces have been rendered in black-and-white gives them a remarkable depth; some of the images in the cubes with a black interior have a particular perspective that makes the observer feel they are looking into them, rather than at them, as if they are not pieces of two-dimensional art, but actual constructs located in front of the observer and into which one might climb – or fall. The effect is both captivating and mesmerizing. It is also, while not unexpected given the nature of the art, perhaps far more heady in impact than might be the case had the pieces been rendered in colour. 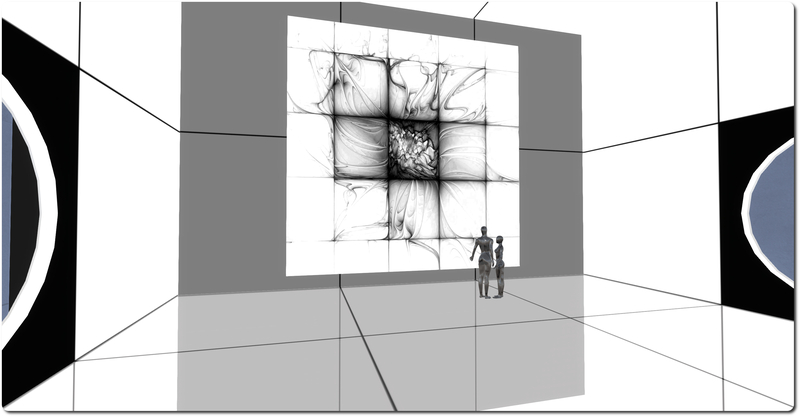 Within each cube, as well, stand figures, male and / or female, apparently studying the pieces on display. These are as much a part of the exhibit as pieces on the walls, seeming to represent each of us as we explore and study, the subtle tones, swirls and lines on their bodies reflective of the impact the art on display has on our own thinking and perception. This is a quite stunning exhibit, in terms of both the art on display and the manner in which it is presented. It’s not often that one encounters an exhibition where the very space in which it is presented actually forms a part of the overall work, but such appears to be the case here. Even the very subtle use of colour in some of the sofa and seats and on certain walls of the cubes, carries a meaning of their own which adds to the whole. Definitely not one to miss. Highly recommended. Update May 13th: Lumiya 2.6.1 is now available. This includes a fix to prevent the client crashing when rendering megaprims, improved mesh download speeds and reduced lage when walking. 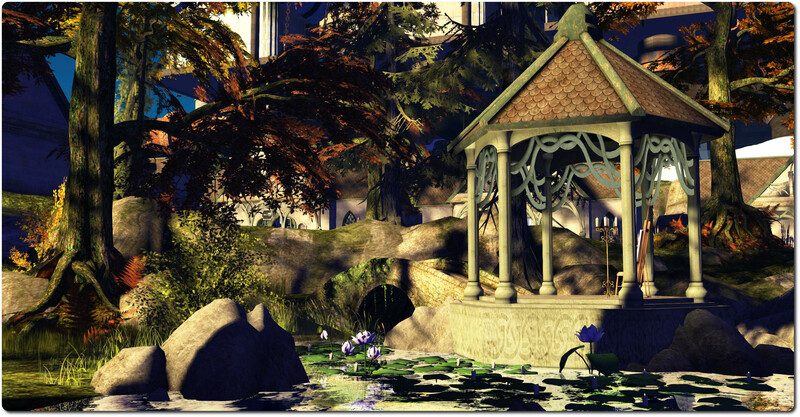 Alina Lyvette announced the arrival of the latest release of Lumiya on Friday May 9th. 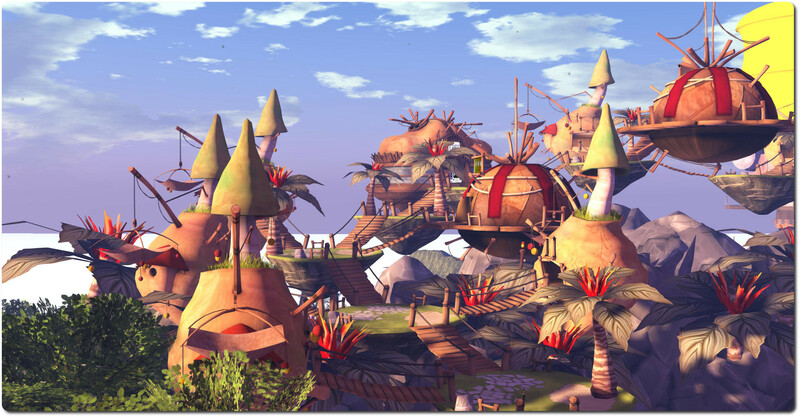 Version 2.6.0 marks the arrival of support for Fitted Mesh and some pretty impressive under-the-hood changes which greatly enhance Lumiya’s performance in the areas of memory use, bandwidth utilisation and 3D rendering – and I found the improvements really are noticeable. The Fitted Mesh support is perhaps the most visible update in terms of new features. I only carried out a quick series of tests, but found the FM demos I had from back when testing the SL Fitted Mesh viewer (I’m ashamed to say I’ve still not actually started using any mesh clothing myself…) worked just fine when rendered by Lumiya. I did experience slight issues with mesh clothing failing to render when worn, something I don’t remember occurring back when mesh support was first released. Should this happen, a quick fix seems to be hopping out of the 3D view and back again. If the request is accepted, you will receive a teleport offer, as per usual; if the request is declined, you will not receive any feedback (which is how Request Teleport is handled in the viewer and not a result of Lumiya failing to receive a notification). 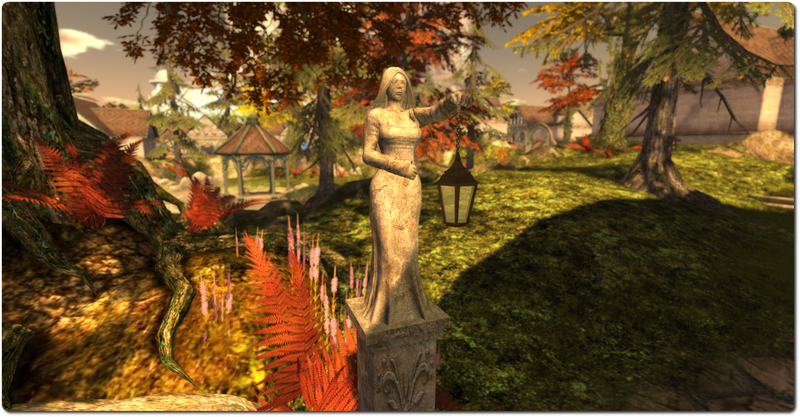 Lumiya 2.6.0 makes it easier to interact with nearby avatars when in 3D view by applying a long touch to the centre of an avatar. This may take a little practice, but when used, will call-up a menu allowing you to initiate an IM session with that avatar, examine them, etc. If you have problems using the long touch method when selecting an avatar, don’t forget you can also use the Drag To Select option in the top left corner of the 3D view and drag that down to point to the avatar in question. The under-the-hood changes in 2.6.0 range from fixes for known crash issues through to better support for transparency in the 3D world view and new notification sounds (courtesy of Lhasa Mencur) to some really quite significant performance improvements. The latter include a reduced memory footprint together with much improved bandwidth usage, both of which see Lumiya operate a lot more smoothly (not that it was ever particularly clunky). Much has been done to the 3D rendering performance and management as well.Also these combined mean it should be much easier to run Lumiya on lower-end system, and for those on high-end devices, to have more of the bells and whistles turned on. In my case, for example, these improvements make it a lot easier to run with High Quality Textures enabled by default on my Nexus 2013 HD. 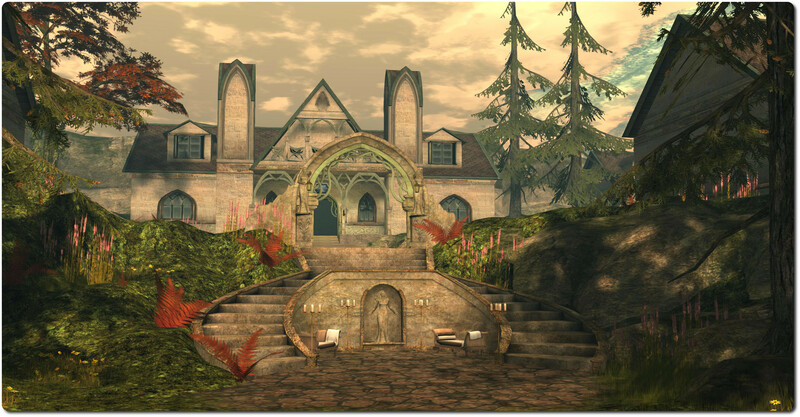 Lumiya has always offered tremendous value for accessing Second Life while on-the-go with a suitable Android device. Even allowing for trying to maintain compatibility with older versions of Android, Alina consistently pulls-off some impressive miracles with the client, and 2.6.0 more than demonstrates this. 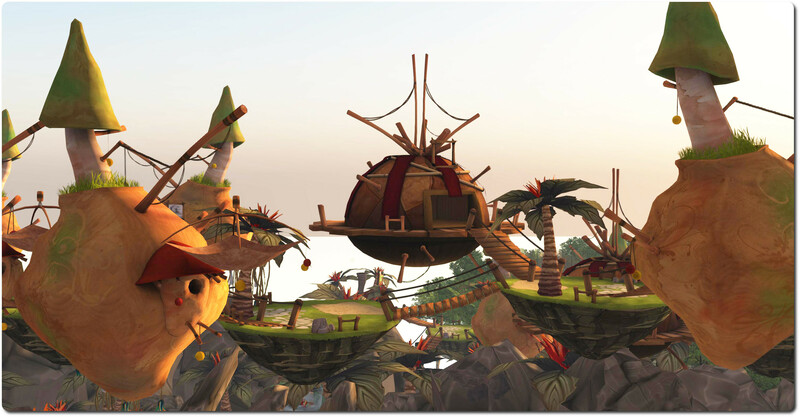 While the added features may seem minimal (even though mesh support represents considerable work itself), the performance improvements evident in this release are astonishing. Obviously, with a fairly high-end Android device running Android KitKat and a quad-core Qualcomm Snapdragon™ S4 Pro, 1.5 GHz / Adreno 320, 400 MHz combination, I stand to benefit the most from the improvements in rendering, but even so, on my old Samsung Galaxy S2 with Android 4.1 Jellybean and Dual-core 1.2 GHz Cortex-A9 / Mali-400 combination, things were still noticeably faster. 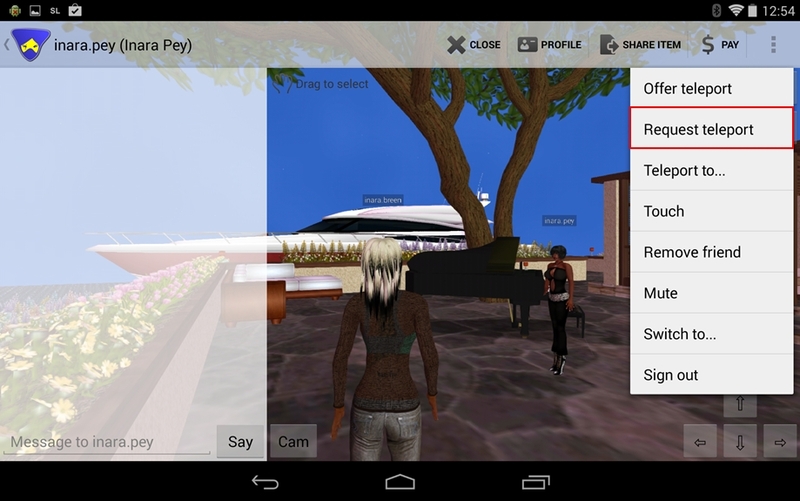 For those who require access to OpenSim and are Android users with a decent CPU / GPU combination and a reason screen size, Lumiya stands head-and-shoulder above the rest. For those wanting mobile access to Second Life and have limited screen size, it also beats SL Go hands-down in terms of convenience of use, even if it lacks the full rendering capabilities of the latter.